Where is the info from? Alderton, D. 2006.The complete illustrated encyclopedia of birds of the world. Southwater Company, Blackfrairs Road, London, Great Britan. MackWorth-Praed, C.W. and C. H. B. Grant.1970.Birds of west and central America.Longman Group Unlimited, London, Great Britan. Harrison, J. A., D. G. Allan, L. G. Underhill, M. Herrmans, A. J. Tree, V. Parker, and C. J. Brown, EDS. 1997. The Atlas of Southern African Birds. BirdLife, Johannesburg, South Africa. Hockey, P., W.R.J. Dean and P.G. Ryan. 2005. Robert's birds of Southern Africa, 7th edition. Trustees of the John Voelcker Bird Book Fund, Cape Town, South Africa. Sinclair,I., P. Hockey,and W.R. Tartborton.1997. 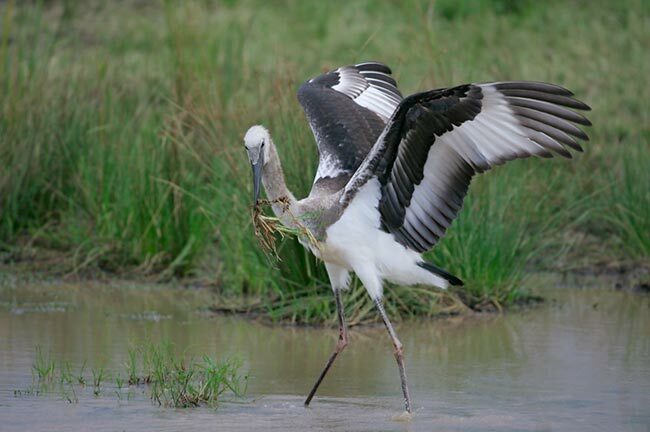 Sasol birds of Southern Africa. Struik Publishers, Cape Town, South Africa. and wildlife pictures online for their photos! Check out the creator of this site on the about me section.